Why Illustrator CC is really great for Web Designing? The types of devices people use to browse the web have seen a massive change in the past few years. Because people can visit a website from so many devices, the dynamics of web designing have changed dramatically. 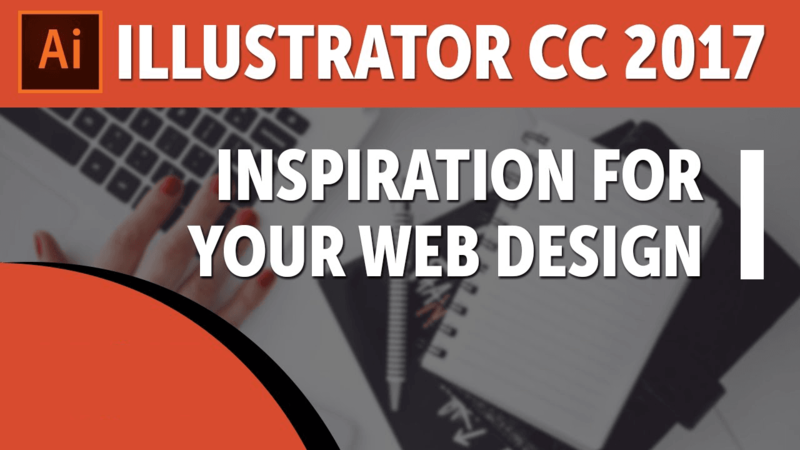 Adobe Illustrator CC offers lots of features that make it the perfect tool for web designing. Here are 6 reasons why it is really great for designing websites. 1. It is Resolution Independent Scalable vector graphics and icon fonts are just few of the elements that make a big impact in web designing. Illustrator CC is vector-based and allows you to create designs that can be scaled to any level without losing quality. As already mentioned, your website has to render effectively on a wide range of devices with different screen sizes. All the content on your site should also be optimized for all the different device screens. Illustrator CC makes it easier to design websites which are resolution independent and helps address this challenge. 2. Precise to the Pixel Most web designers use the grid when designing. It is more effective to build websites using a framework having a fluid grid. It is easier to match your design to the grid within Illustrator. It has an option called, “Align New Objects to Pixel Grid” that adjusts all new content to the pixel grid. The design edges are thus draw with high precision. 3. Easier to Work with Icons & Webfonts Icons have always been an integral part of web designing. Using bitmap icons is not simple any longer. Webfonts are the new trend. Illustrator helps address all resolution-based issues. You can use webfont icons and SVG files thanks to this application. 4. Highly Versatile Illustrator CC is a highly versatile application for web designing. You can use it to create basic wireframes or content like icons and page elements. This can help you address the needs of certain web projects. On the other hand, it can also be used for full-fledged designs covering all aspects. Create a pixel-perfect version of responsive webpages using this application. It is a highly versatile tool for web designing. Even when it is not designed primarily to be a web tool, Illustrator CC seems to be the perfect application for the purpose. 5. Use All Types of Styles This is another advantage of the versatility that Illustrator CC offers. You can use all types of styles – graphic or text and increase speed while retaining consistency. Choose paragraph styles, character styles or graphic styles, this application can work with anything. 6. Also Works with Raster Illustrator CC’s vector aspect is great when you design a website. You are also going to need raster images for your site. This application is capable of placing PSD files in native form. In fact, it can also support layers/layer comps from Adobe Photoshop. Thus, there are many advantages of using Illustrator CC for web designing. It is a highly versatile tool that can be used to develop a full-fledged website or some elements of your web project.